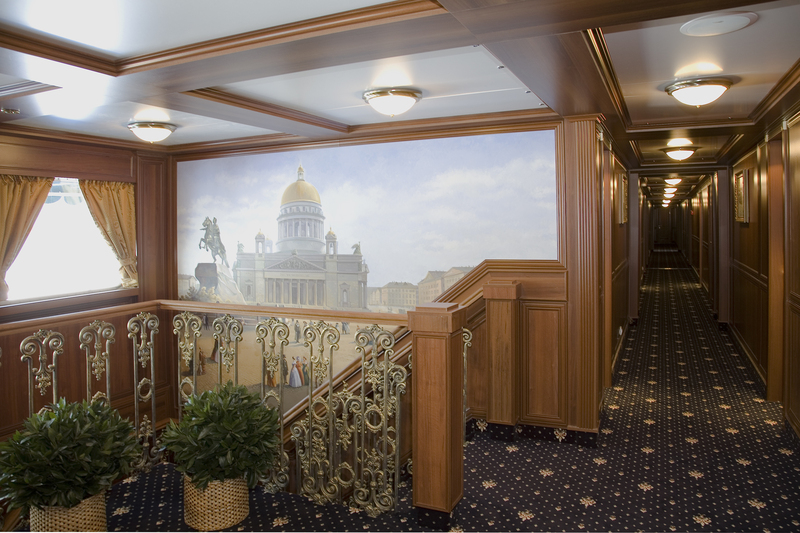 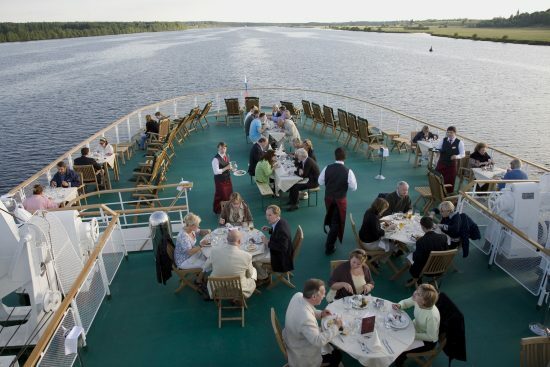 The MS Volga Dream entered service during the spring of 2007 after a comprehensive two-year renovation. 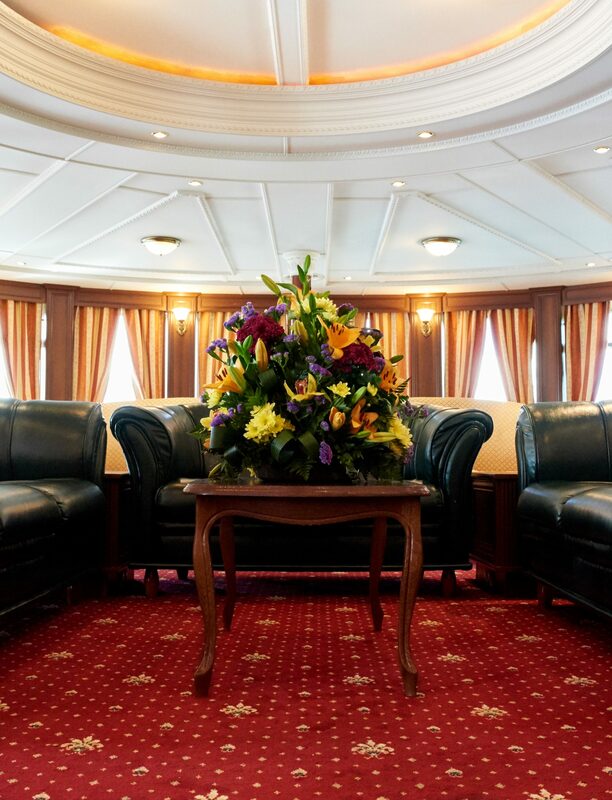 This elegant vessel is designed in classic decor with a slight Russian touch and accommodates just 100 passengers. 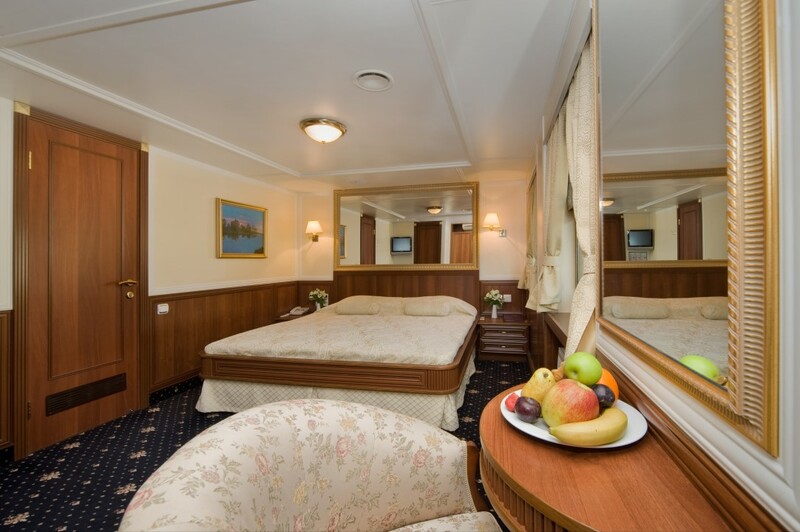 She is the best choice for travellers seeking an intimate cruise experience and personalised service. 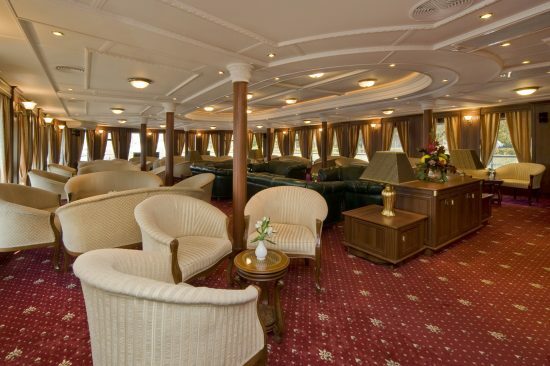 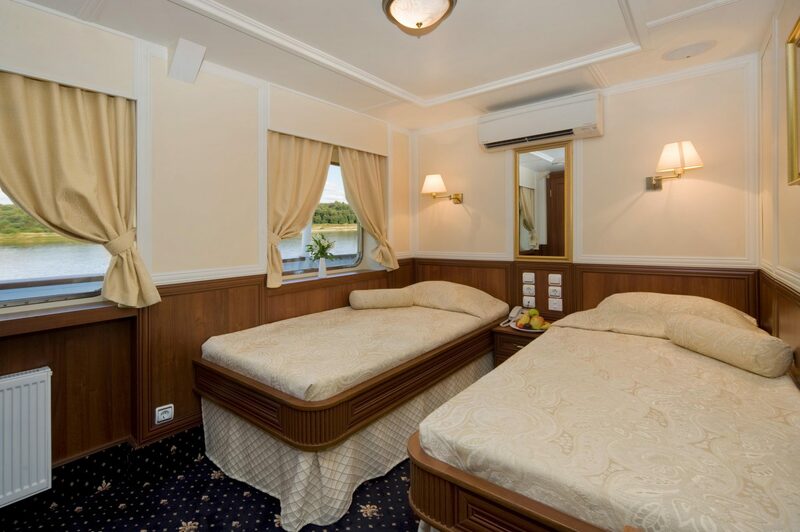 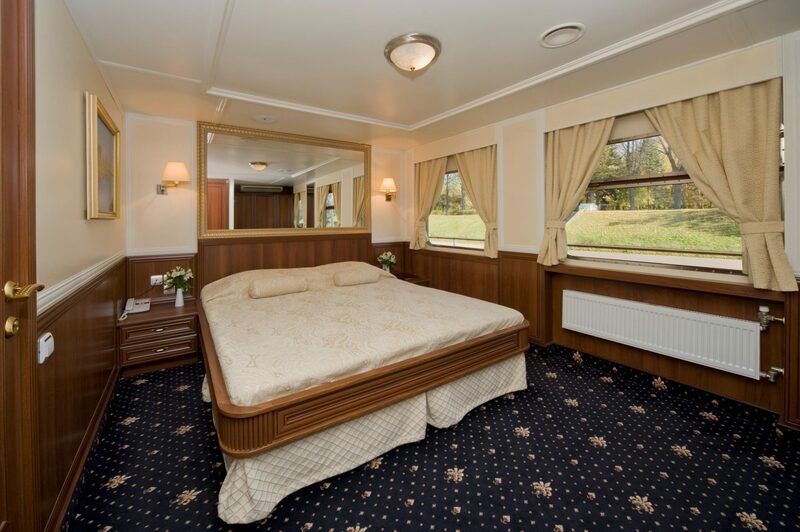 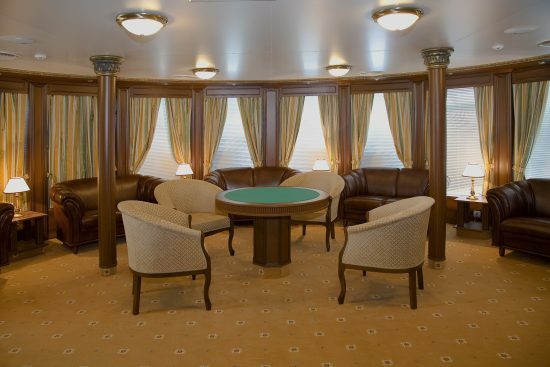 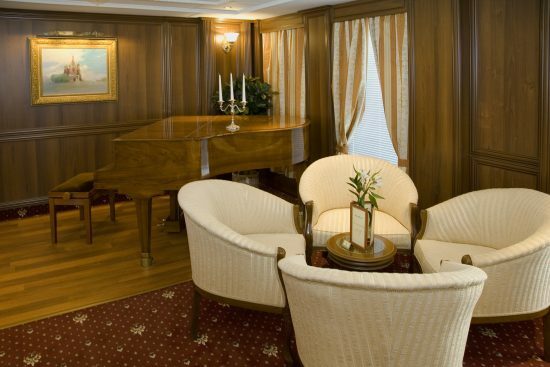 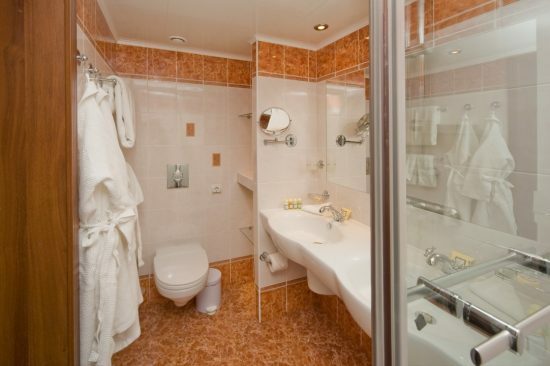 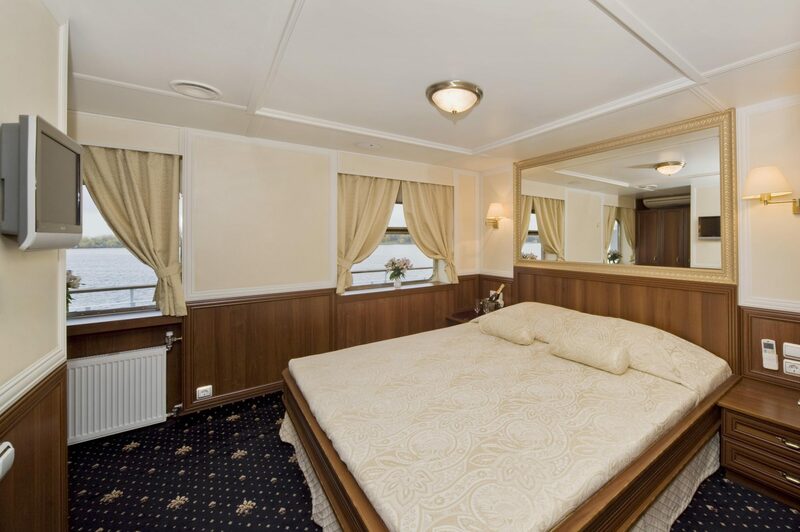 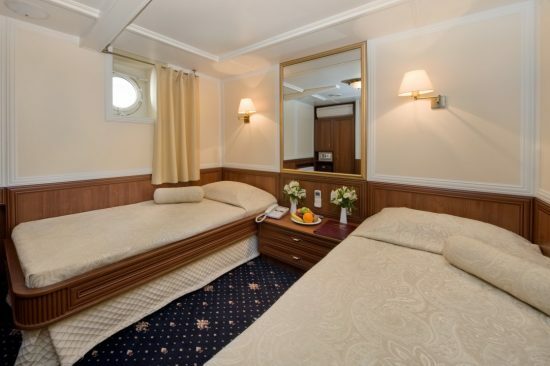 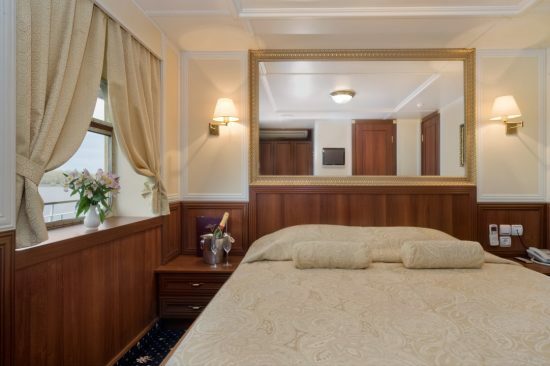 50 staterooms are located over four decks and range from Standard Cabins to Deluxe Staterooms. 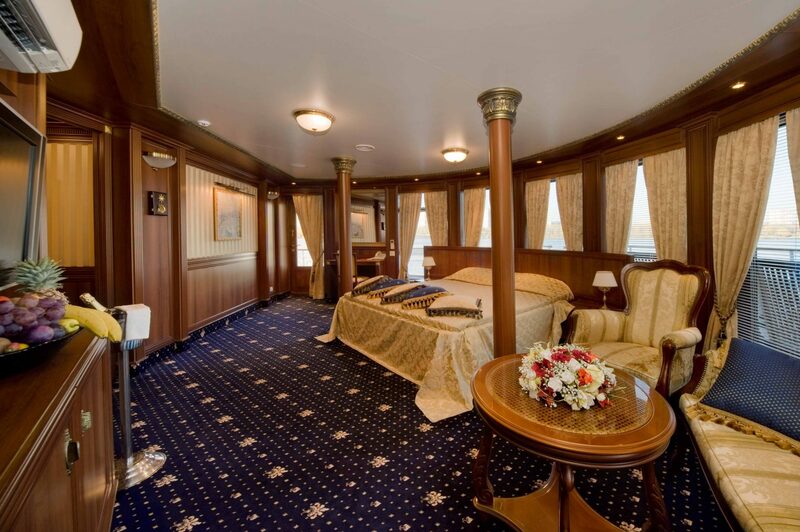 On the upper two decks – Promenade and Sun, you will find spacious Junior Suites and the luxurious forward looking Owner’s Suite, which has a private terrace and separate exit to the open deck. 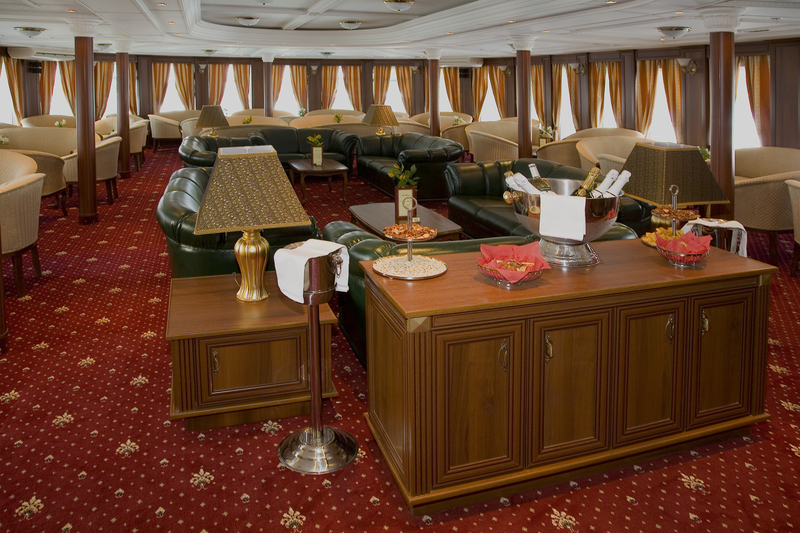 Spread over three decks, the onboard facilities include a delightful restaurant which accommodates all guests in one sitting. The lounge is a pleasant space for relaxation with large panoramic windows and bar area. 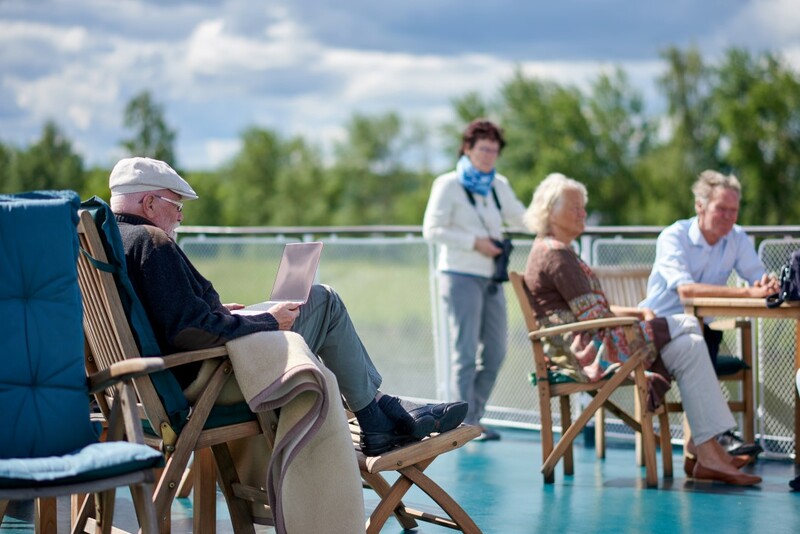 On the large, spacious Sun deck you will find comfortable deck furniture. There is also a library which features board games, an outside bar with comfortable deck furniture, fitness centre and sauna. 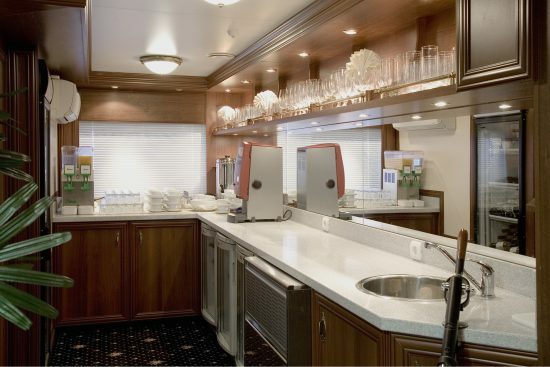 Satellite Internet is available throughout the ship via the Wi-Fi connection. 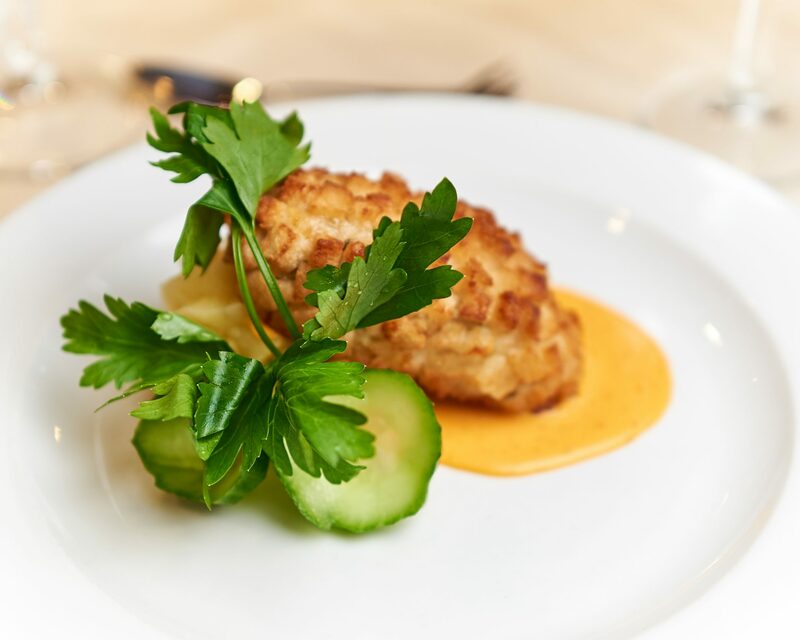 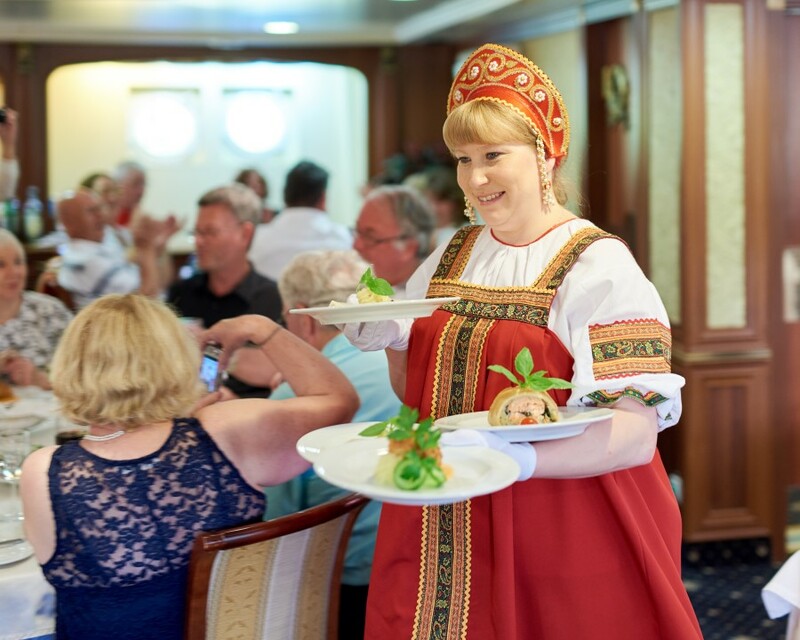 The single sitting dining room offers the best of traditional Russian cuisine and international choices, accompanied by complementary wine and soft drinks. 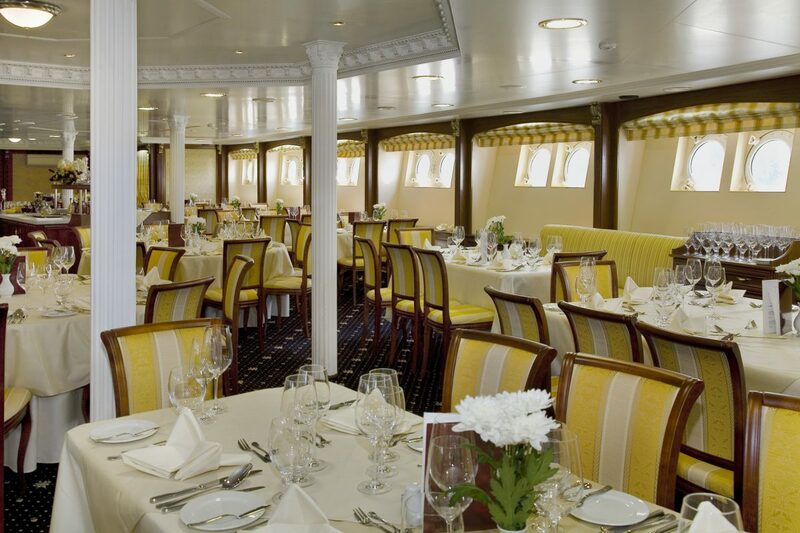 Every day a delightful buffet lunch or set menu choice is served in the restaurant. 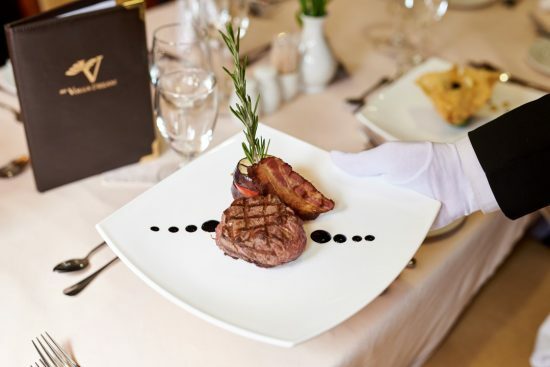 Dinner is a served four or five course meal. Onboard there is also a luxurious lounge and bar where a pianist plays each evening and afternoon tea is served each day. 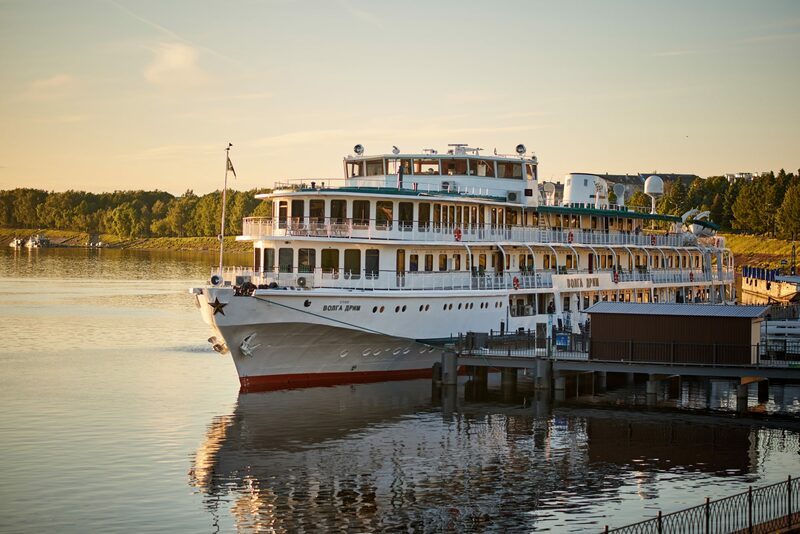 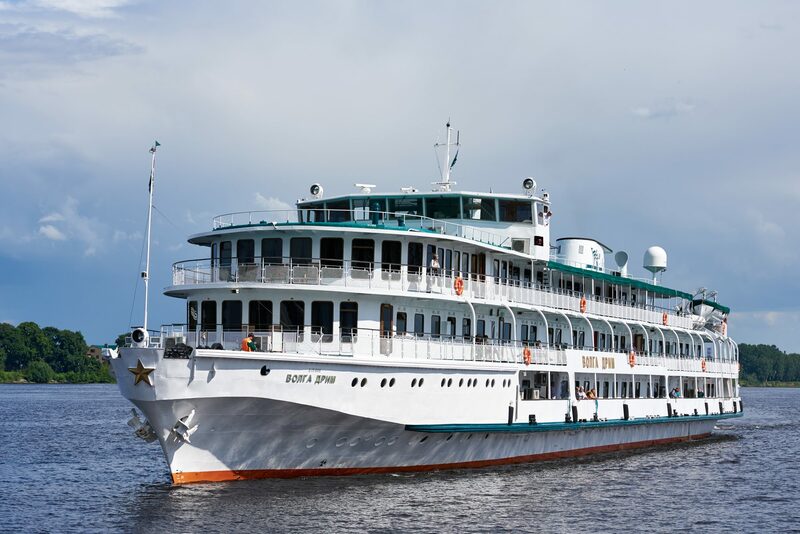 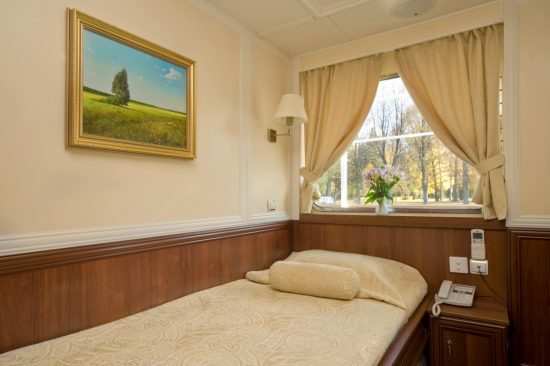 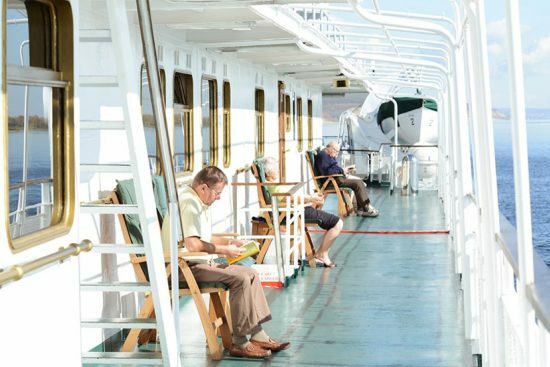 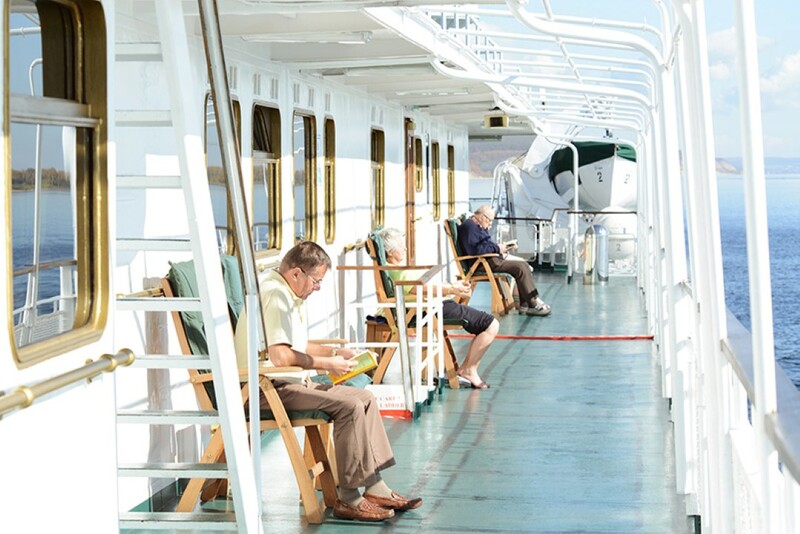 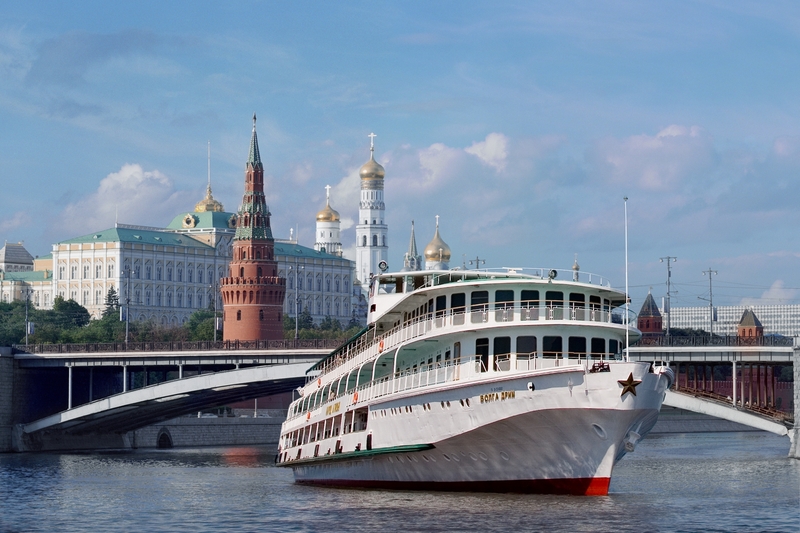 The MS Volga Dream has plenty to keep you occupied between trips ashore. 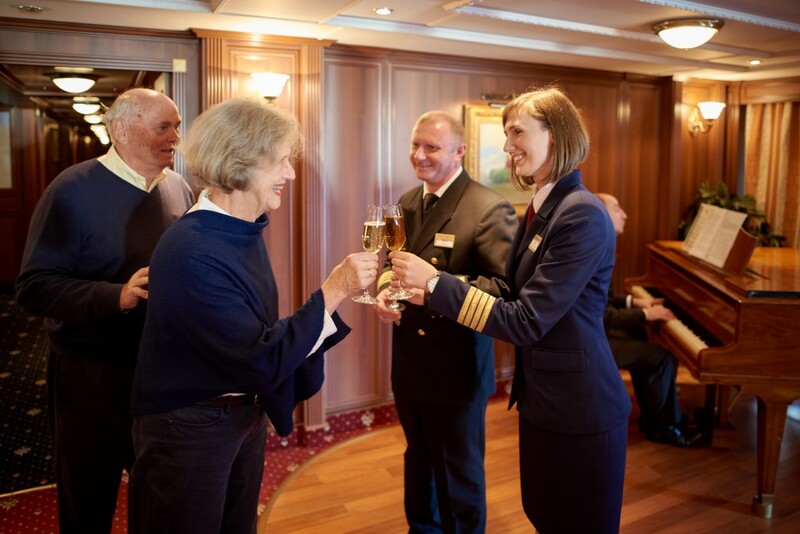 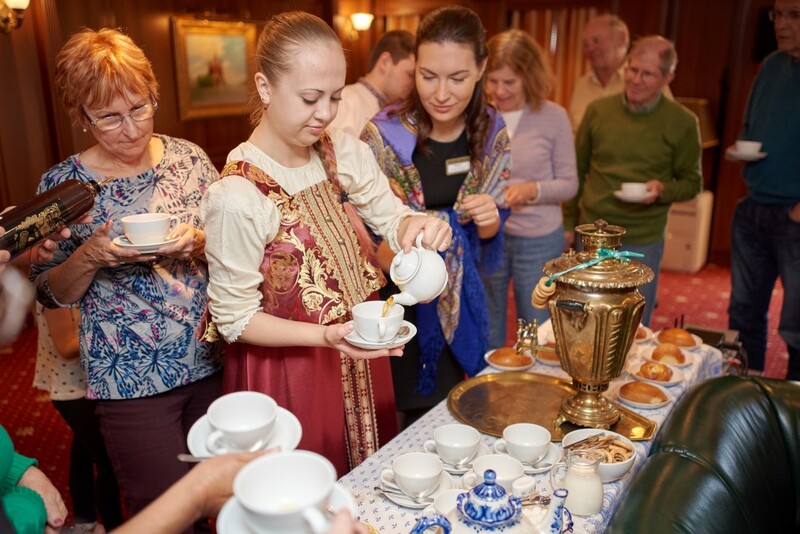 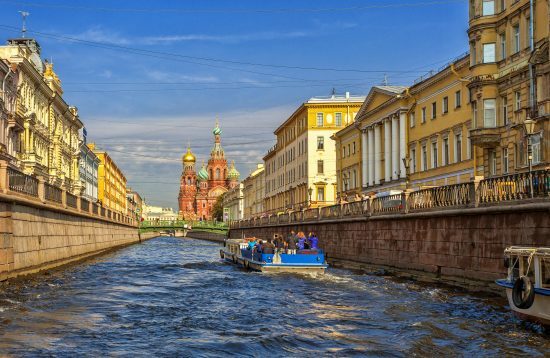 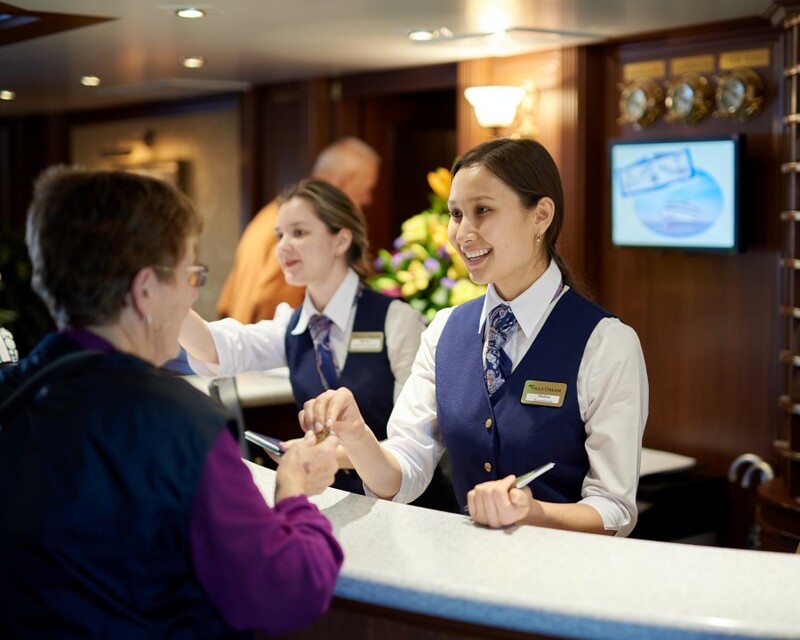 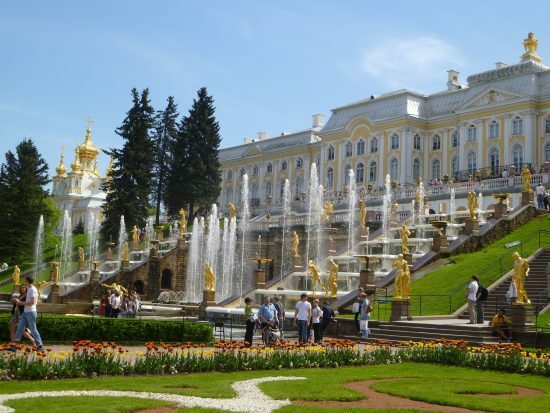 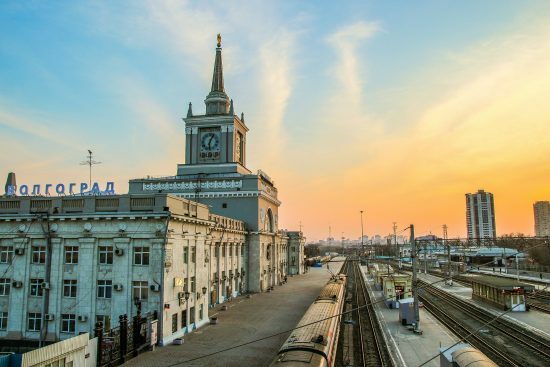 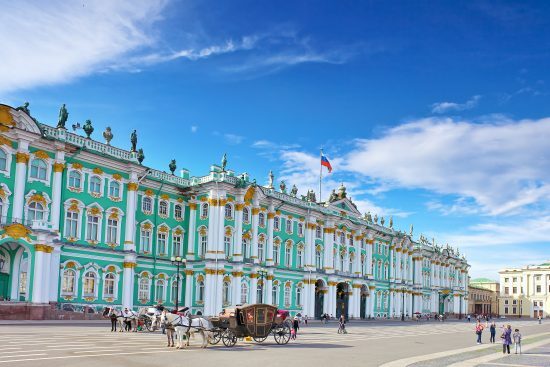 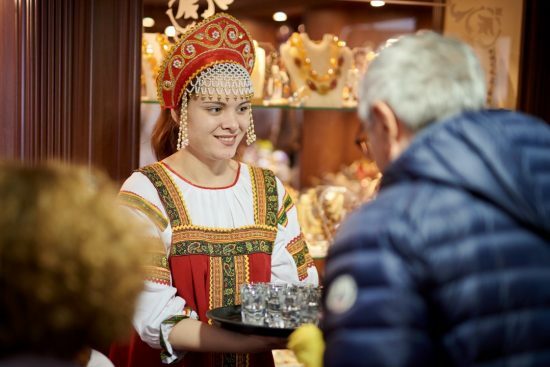 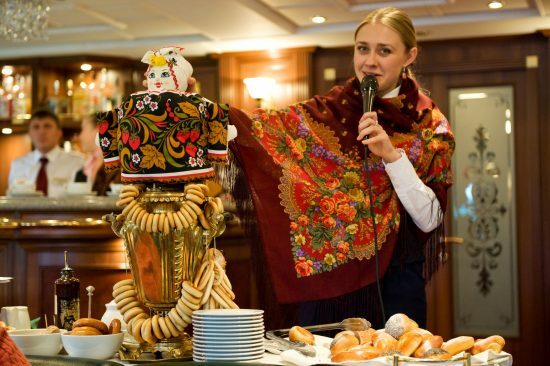 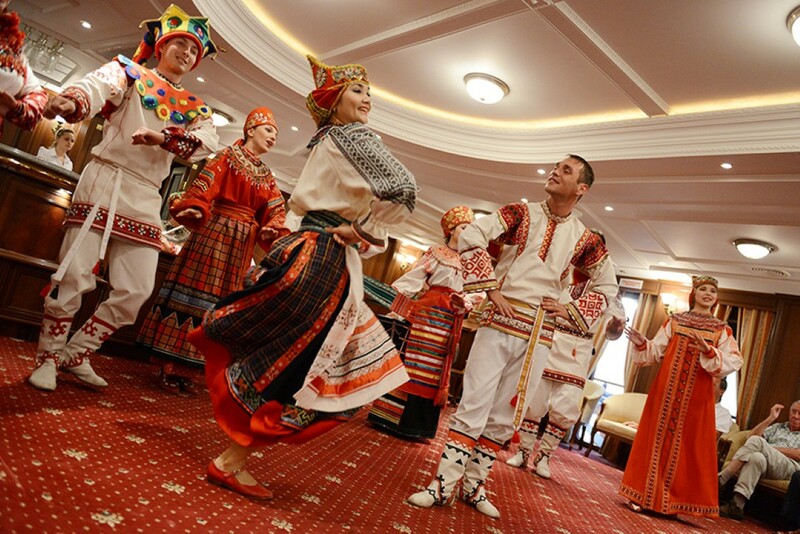 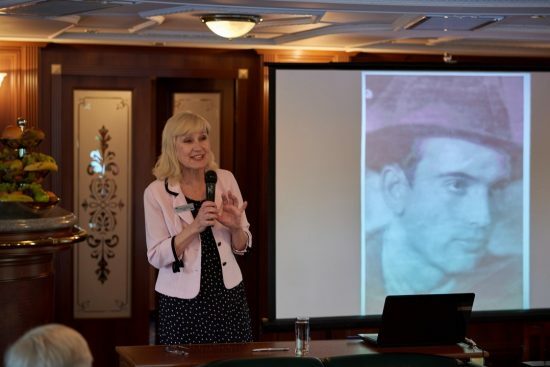 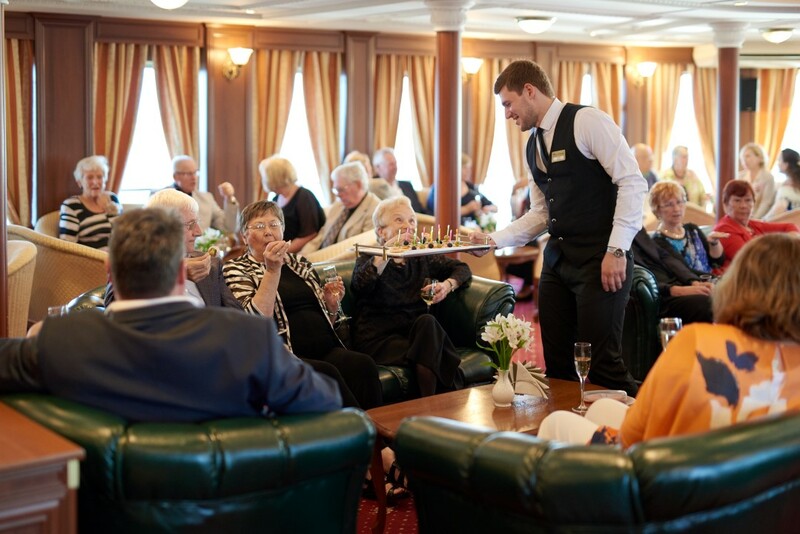 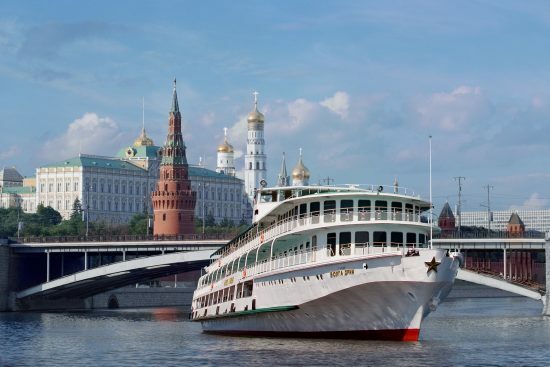 A diverse range of on-board activities include cooking demonstrations, Russian language lessons, documentary films, Tchaikovski and Rachmaninov piano concerts, matrioshka painting classes and Russian costumed dinner with vodka tasting. 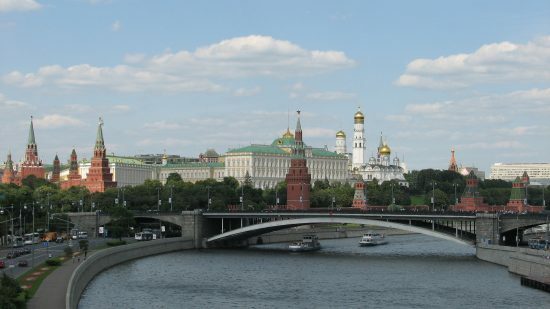 Our special pride are the speakers who are genuinely connected to Russia by their present professional interest. 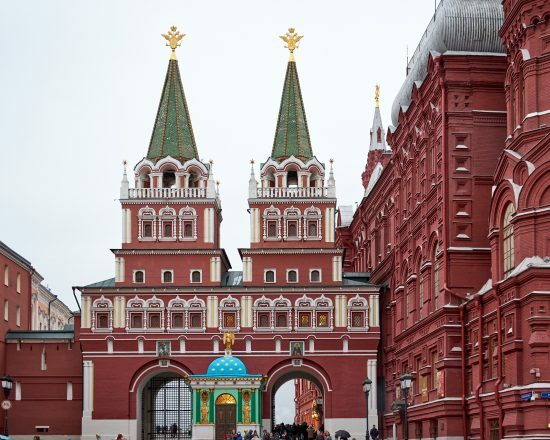 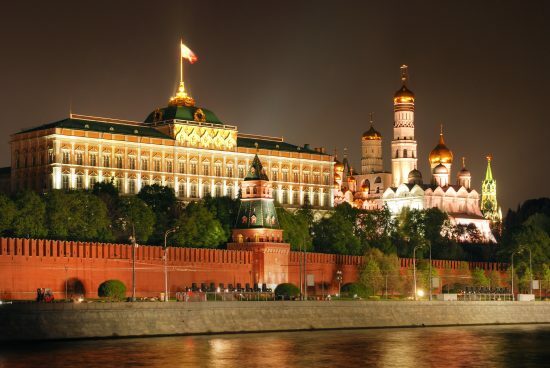 You will learn about Russia’s modern history, lifestyle, education and employment and will have plenty of opportunities to ask questions and receive comprehensive answers. 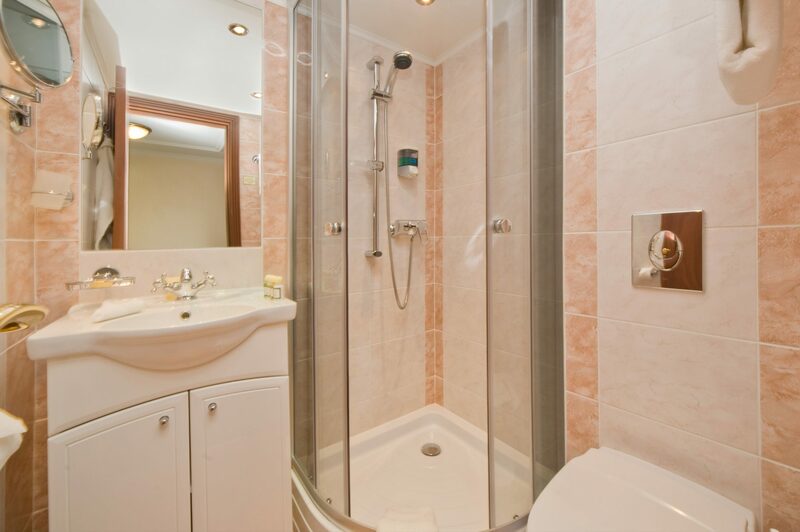 What a wonderful experience we had – everything went very smoothly, and we were delighted with the attention to detail and friendly staff.